What does love mean to you? This is a question I am exploring in depth right now as I dive into writing my book on relationships. My answer today is far different than it would have been ten years ago, or even a year ago, and it is continually evolving and deepening. I know what love isn’t. —that giddy infatuation that makes you willing to ignore the red flags slapping you in the face because you’re flying high on the delusion/fear/lust cocktail pulsing through your veins and zinging in your belly. And, love doesn’t require you to fight for it or keep you swept up in turmoil and drama. Love is honest, peaceful, safe and calm, yet also passionate, exciting, adventurous, mutually fulfilling and fun. What genre are you most comfortable writing? There’s one thing that I have said about myself for many years—I can write anything. It’s true. I write self-help books, humorous mysteries, press releases, marketing and promo materials and anything else you can think of. In the past, I’ve written scientific, technical and legal reports—lots of them—and on the fiction side I’ve written a historical western historical suspense and a futuristic romantic suspense, to name a few. Yeah, I can pretty much write anything, however, I don’t always enjoy it. I love writing my Jolene Jackson Mystery Series because it’s a lot of fun. I love writing the self-improvement stuff because it gives me a chance to refine and define what I’ve learned, not to mention that it is just constantly flowing out of me. Who is your publisher? Living the Life You Love is published in the US by Diomo Books, which is my company that I started in 1999 to get my first mystery novel, Hot Enough to Kill, into print. I’ve published eight titles with four currently available and two upcoming. I’m publishing my fiction novels exclusively as eBooks for now, which has been working great. I’m also published by other publishers in other countries. Living the Life You Love (Vive la vida que amas) is published in Mexico and in all Spanish-speaking markets by Amallah, a division of Santillana Publishing Company. It is published in Chinese by Mufone Publishing Company of Taiwan. How much sleep do you need to be your best? Probably more than I get. I generally sleep 5-7 hours, but then I’ll have days where I’ll sleep 12 to catch up. Yes, I know what it says about that kind of thing in my own book, but just because I know what to do, doesn’t mean I always do it! What other jobs have you had in your life? My first year in college, I had three jobs, all paid positions. I worked three days a week at an orthodontic office, was co-editor of the university yearbook and copy editor of the university newspaper. I’ve been a “security guard” who cleaned toilets and picked up trash at a botanic gardens and I’ve been an Environmental and Health & Safety Consultant, which, now that I think about it, are kind of the same thing. What are your current writing projects now? I am finishing up my fourth fiction novel, Killer Moves by Paula Boyd and also working on a relationship book. That’s kind of my process. Things percolate and I write things down as they come to me then I go back and generally realized I’ve intuitively created the bones for a book. The working title of the book is called, Living and Loving on Purpose, but I’m not in charge or what will ultimately show up on the book cover. I love the stuff I’ve put together on it. It is a continuation of the deep inner work of Living the Life You Love that is laser focused on relationships—and creating the kind you want on purpose. Sometimes it’s so hard to keep at it – What keeps you going? What are the choices? Get a real job? I don’t think so. I love what I’m doing and that is my motivation. Yes, I have moments where I wonder how this could possibly sustain me in the lifestyle I enjoy, and yet, somehow it does. Somehow, new people keep discovering—and buying!—my books and finding me for private coaching. There are certainly more goals I’m working toward, but today, I am still truly living the life I love! How much of the book is realistic? All of it. Living the Life You Love uses experiences from my own life that I lived and learned through, most of them quite painfully. But, that’s what makes my book unique—I tell it like it is, even when it is stuff I’m not proud of and wish I had done very differently. Because, if I can take responsibility for my choices and results thereof to the world, it gives others the courage to start admitting their own to the mirror. Where do you see yourself in five years? Living in my dream house that overlooks the ocean and walking the beach at sunrise every morning before I sit down to write another bestseller, work with clients or make travel arrangements to my next speaking event at a fabulous locale. Yeah, there could be a man in that picture too…ssshhh. Are you a city slicker or a country lover? I really like being close to everything these days. I grew up living away from town, plus all the years of mountain living in Colorado, and even the half-hour from town years here in Arkansas, have made me really appreciate convenience. Who knows what I’ll want to do tomorrow, but today, I’m loving easy city condo living a few steps from the lake. Do you have any advice for writers? No matter how good you think your book is—or fabulous your friends and mother say it is—it probably isn’t as fabulous and flawless as you think. Hire a qualified professional editor to make sure you put your best foot forward “literally” speaking. 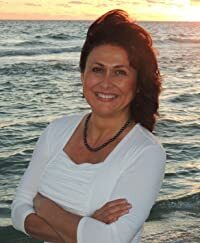 Paula Renaye is a life and relationship coach, speaker and eight-time award-winning author. Her award-winning self-help book, Living the Life You Love: The No-Nonsense Guide to Total Transformation was named to Kirkus Reviews’ Best of 2012 and won the Independent Publisher IPPY Gold Medal for Self Help. The book is available worldwide in English, Spanish and Chinese. Writing as Paula Boyd, she is also the award-winning author of the Jolene Jackson Mystery Series. www.paulaboyd.com For more information, visit www.paularenaye.com.